Drinking and driving is nothing new, and that’s kind of sad. People have been doing it for decades, and they are still doing it now. Unfortunately, a lot of drinking and driving is happening because people believe some of these myths listed below. So many people believe this myth about drinking and driving, and it’s kind of scary. Coffee has absolutely no effect on the alcohol in your system. If you’re tired, your coffee consumption might wake you up a little bit, but you’re still going to be drunk. It is NOT safe to get into your car and drive after drinking just because you’ve had a cup of coffee first. You had a few drinks, and you think that sleeping for a few hours will help you get the alcohol out of your system. Part of that is true, but most people underestimate how long they have to sleep. If you have five drinks, you would need to sleep for at least 10 hours to fully metabolize that alcohol. So, if you take a nap, you’ll probably wake up and still be drunk, not in a condition safe to drive. Most people know that if you start drinking on an empty stomach, the alcohol passes directly to the intestine and from there, it goes to your bloodstream and your brain. This is because there are no barriers to the absorption of alcohol. If you eat after you’ve already started drinking though doesn’t help you at all because it’s too late. So, eating a lot of bread will not change your blood alcohol concentration. Some people have their own breathalyzers at home, whether they’re wall-mounted breathalyzers or car breathalyzers. They will measure your blood alcohol concentration, but they can’t measure your ability to drive. Just because you blow under the legal limit does not mean it’s safe for you to get behind the wheel. If you believe some of these myths, you might be putting yourself and others in serious danger. Before you try to drive unsafely, get yourself an ignition interlock device. Ignition interlock devices stop you from being able to start your car if you have been drinking at all. 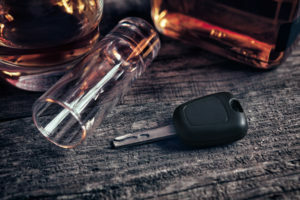 Plus, ignition interlock devices help reduce repeat offenses by 39%, even after the device is removed, compared to offenders who never installed an interlock. It just might save your life.